A ll Care is dedicated to helping seniors and people with disabilities throughout Middle Georgia stay in their homes for as long as possible. Our In-Home Care services are designed to provide a helping hand when people need it most. All Care will offer absolutely the best care and service to individuals who seek to live independently in their own home supported by courteous and caring direct care professionals. 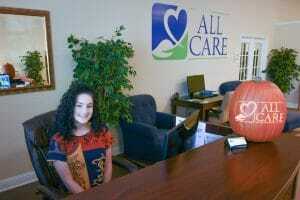 All Care helps individuals access and enjoy every aspect of their community.